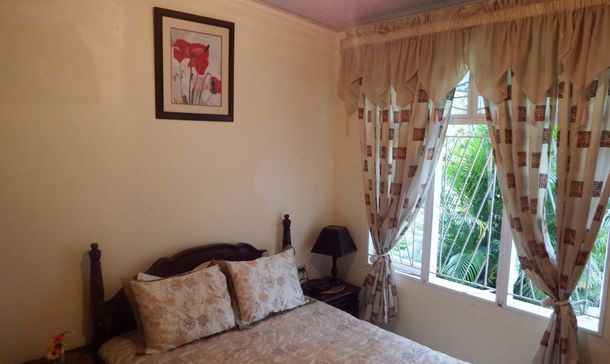 This double occupancy room is equipped with a queen size bed, ensuite bathroom, air condition and cable television. Guests can enjoy the view of our beautiful garden from this room. This quad/triple occupancy room is equipped with a bunk bed and a full size bed, ensuite bathroom facilities, air condition and cable television. This room is ideal for a family with children, small groups of 3 or 4 persons, as well as students. This quad/triple occupancy room is equipped with a bunk bed, a single bed and a full size bed with shared bathroom facilities, air condition and cable television. This room is ideal for a family with children, small groups of 3 or 4 persons, as well as students.